It’s seems ages ago…and I guess it is now, thanks to the two weeks holiday I had immediately afterwards. Sitting and drinking Pims on a Yacht isn’t something I want to forget, but as usually family life has got in the way! On the 17th August, I had the pleasure of meeting fellow MAD bloggers on a beautiful yacht courtesy of Homeaway.co.uk at St Katherine’s Dock in London. Absolute Pleasure was the name of the yacht and it sure was…both to be there and to meet some other blogger people finally. It’s so nice putting names to Twitter faces and blogs. It was, quite simply, a breathtaking evening. The company was great; and it was so refreshing to talk to people who understood about blogging. I didn’t get one blank stare all evening. The champagne and Pims flowed; though not for me as I had to get up to go on holiday VERY early the next day. A 4am start to Cornwall and the fizzy stuff do not mix…. So thanks to Fashion Detective, Rosie Scribble, Dear Beautiful Boy, Red Ted Art, Diary of a First Child, Mums gone to.., Jenography and everyone else I chatted to; and so sorry if I missed anyone off, it was a long time ago for a brain-frazzled mum! 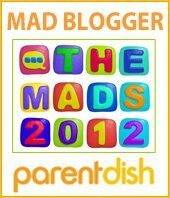 Mad Bloggers award yacht reception – bet you are all jealous now…get blogging it could be you next! What are your favourite summer moments? Do tell us below. All photos are courtesy of homeaway.co.uk and are owned by them. I am VERY jealous! I love boats and champagne!! !